GET HOOKED ON THE FISHERMAN TV! And now for something completely different: Introducing The Fisherman TV! That’s right, in addition to The Fisherman Magazine, TheFisherman.com, The Fisherman E-News and The Fisherman Facebook page, your subscription now provides access to the hottest new fishing show around - The Fisherman TV! Join us as we debut the premier episode of this new, informative and exciting program on June 6 at 12 noon. The Fisherman TV! offers something for anglers of all levels with hard-hitting, thought-provoking and action-packed segments that build on the personalities, favorite species, hot spots and techniques you’ll see each week in The Fisherman Magazine and online at TheFisherman.com. Watch and learn as the The Fisherman staff teams-up with the best and brightest regional fishing authorities to sample every aspect of angling covered in our New England, Long Island and New Jersey editions. Come along as we reveal cutting-edge techniques and test new tackle in undertaking adventures that will put you on the hottest fishing locations for game fish in the Northeast. From offshore pelagics and canyon dwellers, to inshore gamesters, mixed bag catches and freshwater favorites, The Fisherman TV covers all of the bases. Curious about learning new techniques? 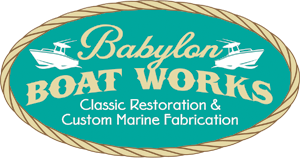 See them demonstrated and explained in detail by expert anglers and The Fishermanstaff. The Fisherman TV! debut episode provides more than a half hour of fishing action packed into three tightly woven segments. All three clips feature The Fisherman editorial staff teaming-up with local experts to put the point to fish in season while demonstrating and explaining in detail the methods, tackle and specifics you’ll need to duplicate their success. Filmed by The Fisherman staff photographer and videographer, Tim C. Smith, you’ll find each show crisp, expertly edited and to the point with an entertaining mix of actions shots, underwater footage and close-ups of fish, anglers, lures, baits and tackle. When it comes to fishing, seeing is believing - and we’re sure you’ll agree The FishermanTV! is the next best thing to being there. Thursday’s debut episode opens in Clinton Connecticut as New England editor Toby Lapinski and local ‘tog sharpie John Frione share a highly specialized jigging technique for blackfish that scores big with bulldogs and works throughout the region. 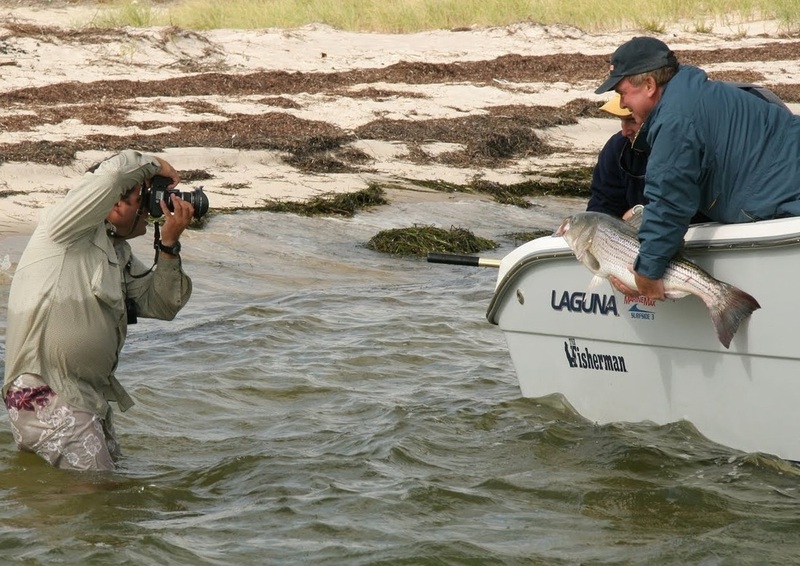 Senior editor Fred Golofaro and bass fishing guru John Paduano are up next, demonstrating the effectiveness of “snap jigging,” a highly aggressive method that can rock tough-to-tempt stripers, weaks, fluke and blues. Try this technique if you want to be fully engaged in the task at hand but be forewarned, it is a real workout. If the idea of snap jigging captures your fancy, you can check it out further in the feature article on page 10 of this week’s Plus edition to get a double-dose of solid information before heading out to try it on your own. Lastly, The Fisherman TV! 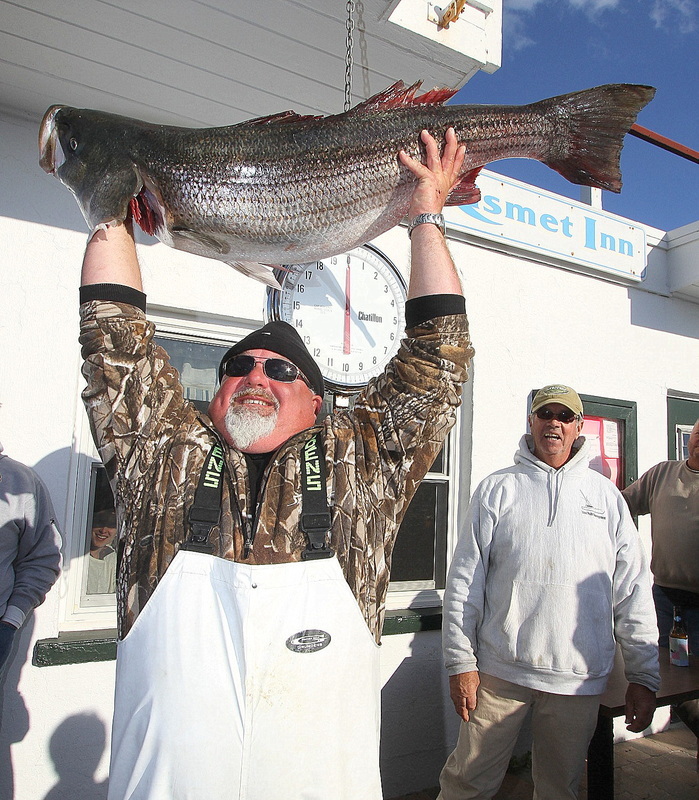 takes you to the HackensackRiver where New Jersey editor Chris Lido and striper fanatic Howard Owens will open your eyes with solid linesiders in an environment many would pass up without a second thought. Of course, one of the best things about The Fisherman TV! airing online is there’s no need for a premium cable subscription - or to be in front of the TV at a specific time. Subscribers to The Fisherman can watch each edition exclusively at www.TheFisherman.com, weeks before we open it for public viewing. Watch each show as often as you like and whenever is most convenient for you. Go ahead and rewind a segment to capture every detail of a particular technique, the best way to work a lure, or how an expert positions his vessel to make that perfect drift. This is your show, so catch it whenever and however you see fit. 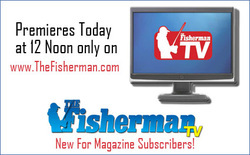 Each edition of The Fisherman TV! is available first to Fisherman Magazine subscribers as just one of many added value items provided as part of your subscription – including free entry into our annual Dream Boat Fishing Challenge in which anglers this year are competing for the chance at winning a new Cobia 217 Center Console with a Yamaha 150-hp, in-line, four-stroke outboard motor, five night stay at Zancudo Lodge in Coast Rica, Raymarine Dragonfly electronics package, plus several additional drawings for major prizes. Later in the month, as our next new episode is launched, the show will be made public and available to all. But why wait? If you aren’t a subscriber, now is the time to get on board. Simply subscribe to The Fisherman Magazine online to receive home delivery of the magazine, gain instant access the TVshow, check out our premium online content, and have available the current digital edition of the magazine plus a full year of back issues in our digital editions archive. You’ll also get to read each week’s edition of The Fisherman Magazine on Monday afternoon, two days before it arrives in the mail. Add it all up and you can come to only one conclusion: a subscription to The Fisherman is a value that can’t be beat. Sign up today to set your hook on all these values - including immediate access to Fisherman TV! - and start catching more and bigger fish today. Seminar will include live bait and plugging, plug trolling, inshore/offshore fluke, weakfish. Also how to choose proper cast net and strategies for catching bait. Call Trophy Tackle for more Information. There are are many tide prediction apps for the iPhone and Android and believe me I have tried many of them. I now have a current favorite and it's simply called High Tide and it can be found on the Google play store and Apple app store. I like this app for it's speed of finding tidal information for you current location. This app uses your phone's location and finds the closest tidal prediction station without having to go through a search process or scrolling through a map then clicking around. When your on a rocking boat you will appreciate the simplicity. Android users have the added feature of a home screen widget which you set the location for. 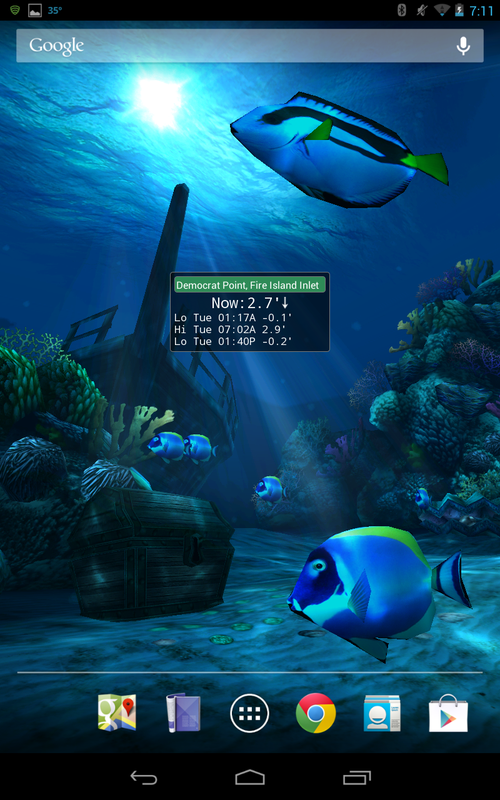 This widget displays real time tidal information. Another nice feature is no cell service or Wi-Fi is required to use this app. This is a paid app and it will set yo back .99 cents. My first tide clock coast me $40 and it was only good for one location, well worth the buck! Tim C. Smith, staff photographer and multi-media producer for the Fisherman magazine and Web Master of Skimmeroutdoors.com, will be hosting an upcoming seminar covering how to take better fishing photos and video. 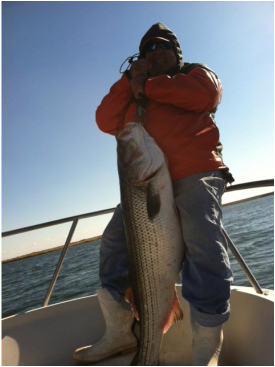 The session will be held on Sunday, April 14th at 11:00 am at Trophy Tackle in West Babylon. Space is limited and there is a $25 registration fee. Refreshments will be served and a Chance to win a TrollPro for your GoPro plus other discounts. 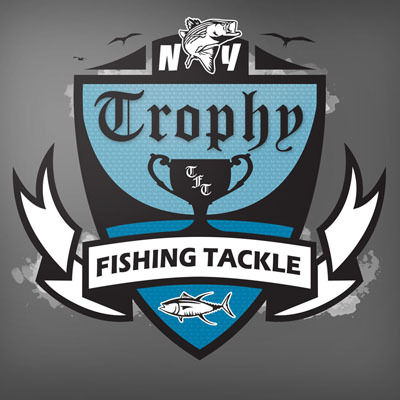 To reserve you seat please call Trophy Tackle at (631) 274-7042. 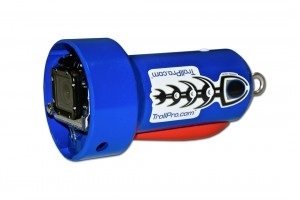 Sign up for the class and have a chance to win a TrollPro for your GoPro and capture your spread like never before. The Jose Wejebe Spanish Fly Memorial Foundation is a non-profit organization whose mission is to support causes involving marine conservation, education, and individuals with special needs. We will contribute to and participate in fundraising and humanitarian work through ocean and marine-life related activities. The Foundation is committed to continuing Jose’s legacy of encouraging new and unique ways of interactive fishing, sharing the importance of conserving our marine environment and dedication to those individuals who encounter life with extraordinary challenges.